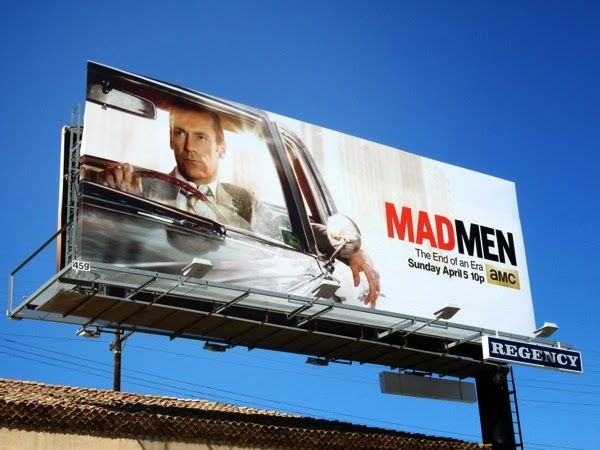 This Spring it's the end of an era for AMC's critically-acclaimed drama, Mad Men, but will it be the end of the road for 'Don Draper'? 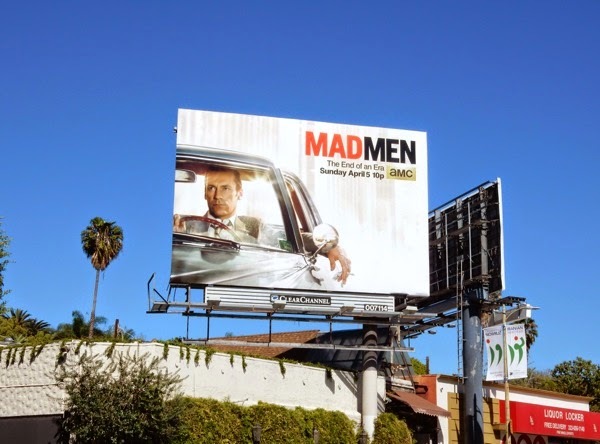 Here's the billboards for the returning mid-seventh season featuring the enigmatic 1960's Madison Avenue ad man in his almost iconic smoking pose, glancing in his car's rearview mirror. 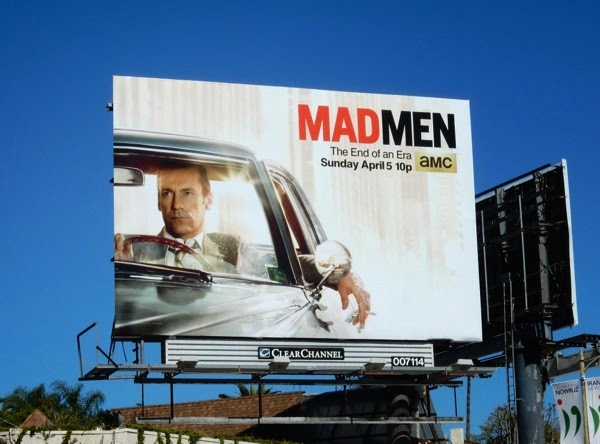 What clue's does this ad creative for the final episodes of the show provide? Is Don contemplating his past and what's behind him, or is he running from something? 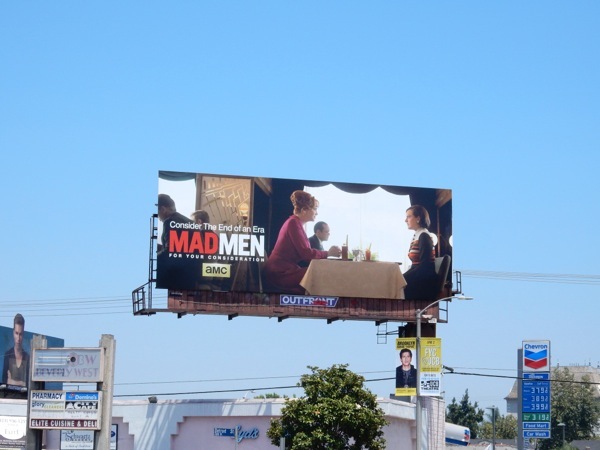 Will Matthew Weiner provide a happy ending for our smoking, drinking and womanising protagonist, and will he wrap up all the loose ends for all your other favourite characters, especially the likes of 'Peggy', 'Joan' and 'Betty' who are at times infinitely more likable and sympathetic than the show's leading man (well maybe not Betty). 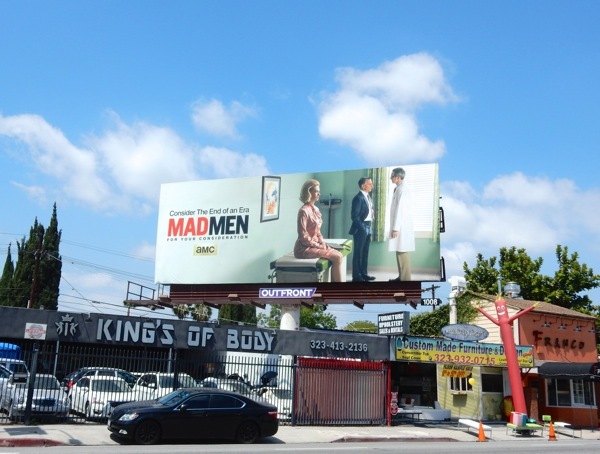 You'll just have to watch as the final episodes in the seventh season air and the cigarette ash falls where it may. 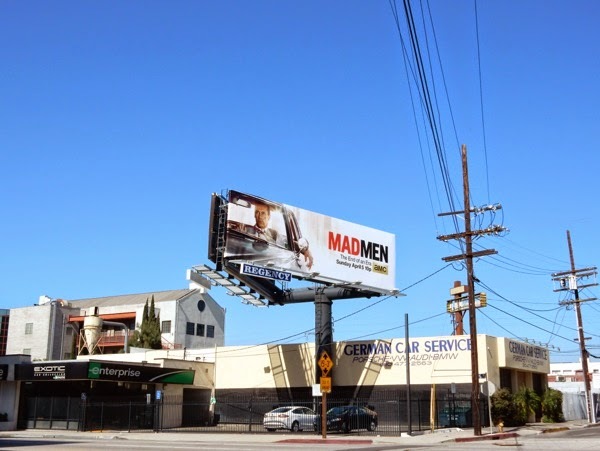 Just as with the final episodes of Breaking Bad, which also had its last season split in two, AMC has blanketed the city skyline with these striking Mad Men midseason seven billboards, snapped from March 8 to March 13, 2015 along Olympic Boulevard, La Brea Avenue, Sunset Boulevard, Fairfax Avenue and more besides. 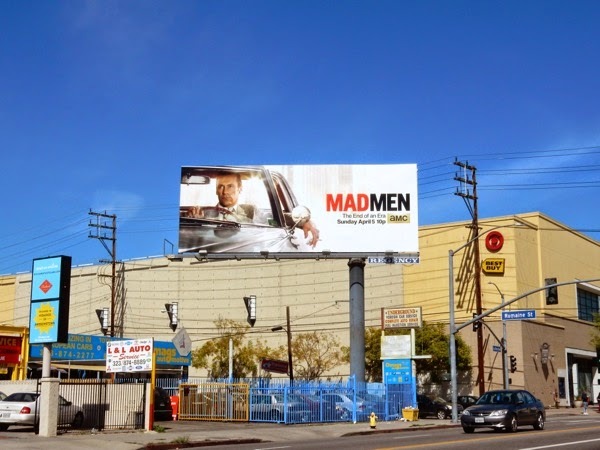 If you're a fan of the series, be sure to check out these previous season promo billboards for Mad Men, especially Daily Billboard's favourite 2014 Emmy ad campaign which featured the cast in faux 60's adverts. 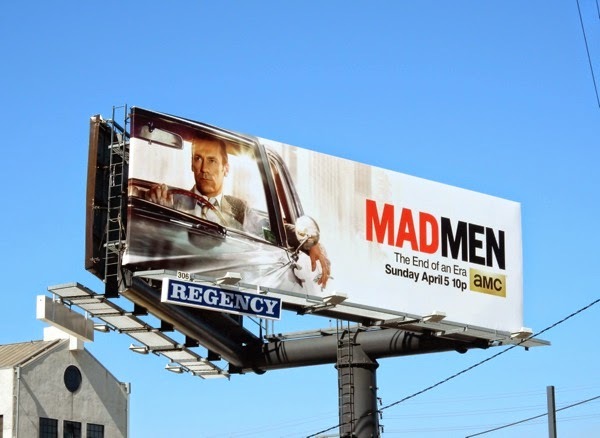 It's not too late to get caught up and binge-watch the previous six and half seasons before April 5, 2015. 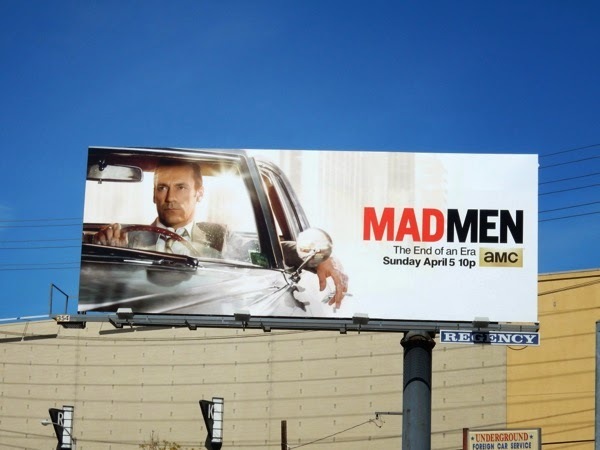 Let's hope Mad Men can pull off a satisfactory ending to such an original, dramatic and compelling series, as it would be nice to be left with more than the bitter aftertaste of scotch and cigarettes to remember the show by. 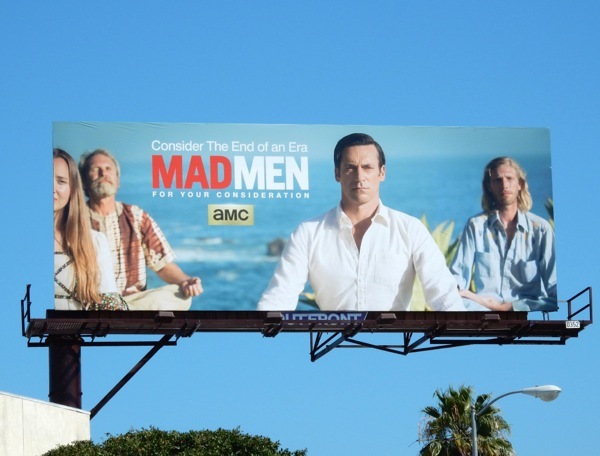 UPDATED: Now that it's all over, and we kind of know the fate of our favourite characters, it's time for one last Emmy campaign to see if Mad Men can take home a few more accolades. 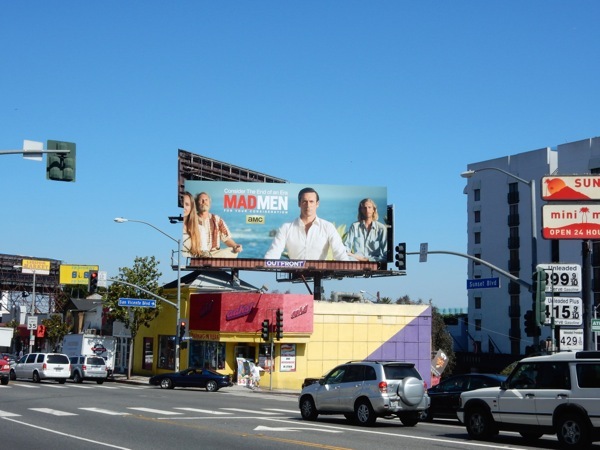 The show has already taken home four consecutive wins for Outstanding Drama Series, but even with seven nominations Jon Hamm has always missed out on his own Outstanding Lead Actor Emmy Award. Will it be eighth time lucky? And what about the rest of the cast? 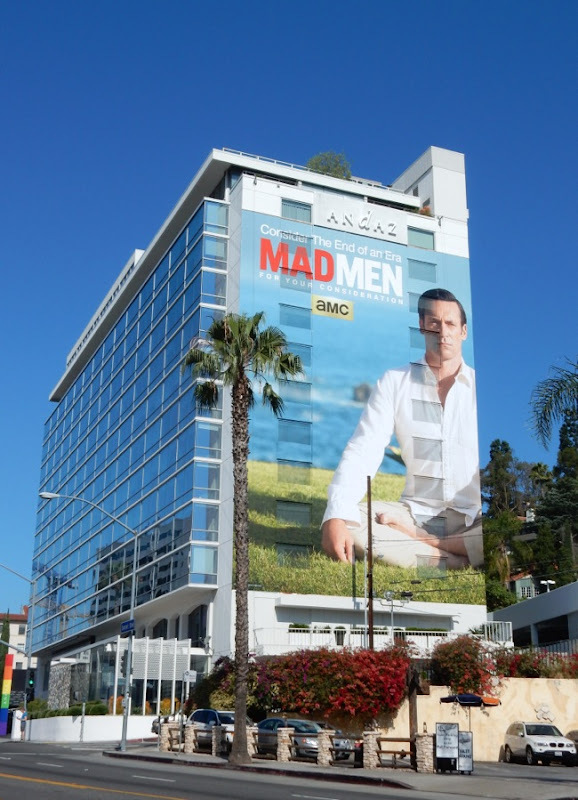 It was a stellar final seven episodes with great character moments for the likes of Elisabeth Moss, Christina Hendricks, John Slattery, January Jones and more besides. 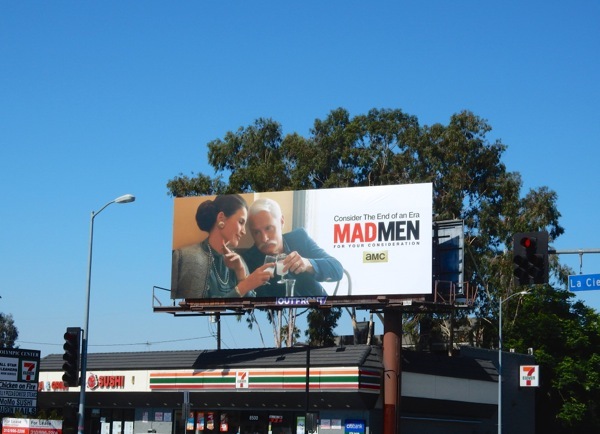 This 'Consider the end of an era' Emmy campaign is the perfect finale to the series, filled with almost iconic scenes. 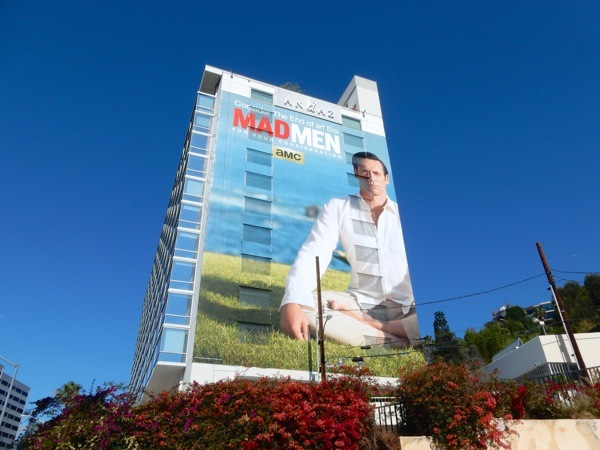 These evocative billboards, including Jon Hamm's super-sized billboard on the side of the Andaz Hotel in West Hollywood, were snapped from June 2 to June 7, 2015. 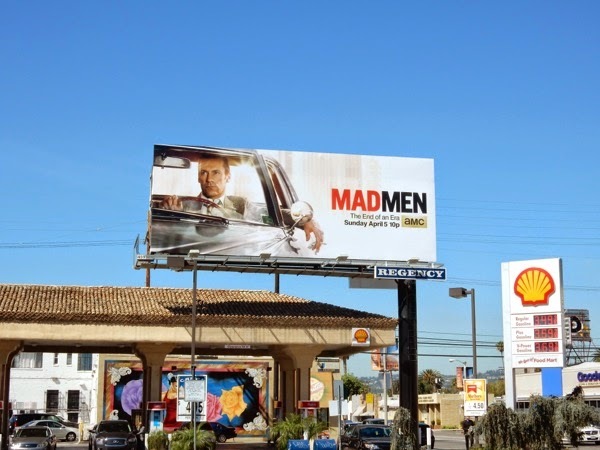 Just how many nominations will Mad Men nab and how many trophies will the drama take home this September?